I have been running RC (Tamiya) cars since 2011 when I first purchased a TT-01, at age of 30 J. This time I even didn’t think to race, just complete a sort of „missing” childhood experiment. Then step by step I started to participate in Hungarian local races (grey carpet, Tamiya cup over 100 entries this time) and found it a good hobby which makes me relax (switch off fully). 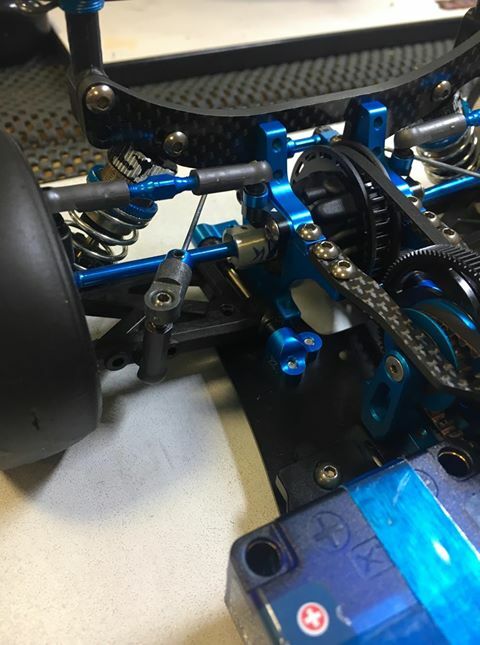 In 2nd season I won TT-01 champ in 2012/2013 (carson cup machine motor) then switched to carbon car in 2013, started with the TRF417v5. 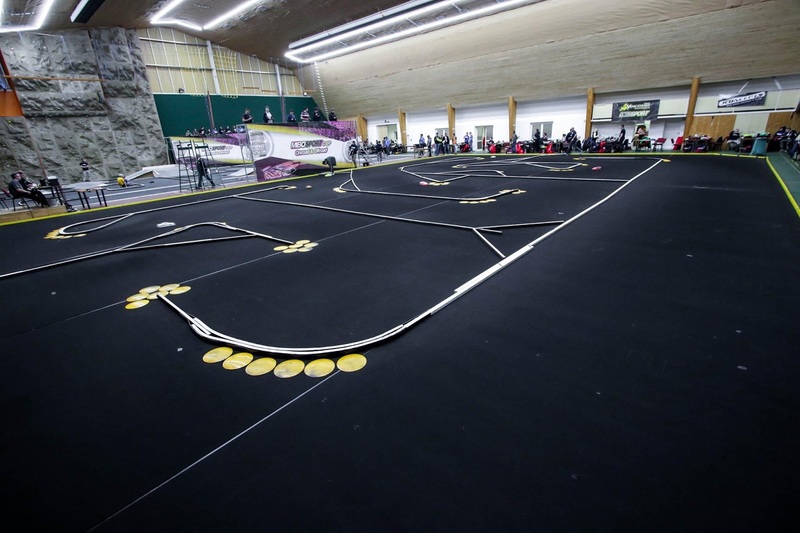 That was a big change and quite a lot to take in as I competed in the Budapest Tamiya cup. 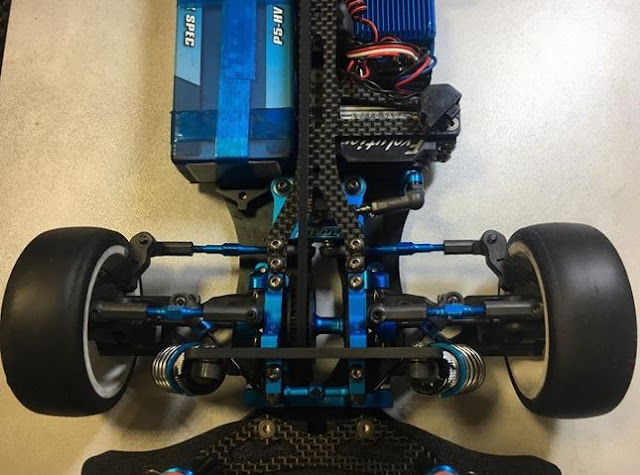 After 2 years I switched to the TRF419 and I still struggled… I was “ok” on asphalt but had no luck on carpet and not much support locally on how to set up my blue car. Most guys already had switched to those Orange or Black cars that seem to be at most clubs. 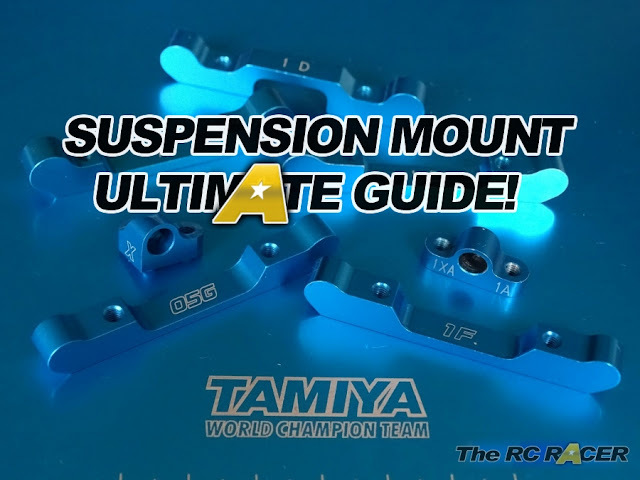 Thanks to founding some good blogs/websites Including the RcRacer who also races Tamiya with lots of features and tests (including non-Tamiya developments on the car) I did improve. This time I practised also a lot (wintertime in grey carpet, summertime local track with low grip) and read/test as much as I could. 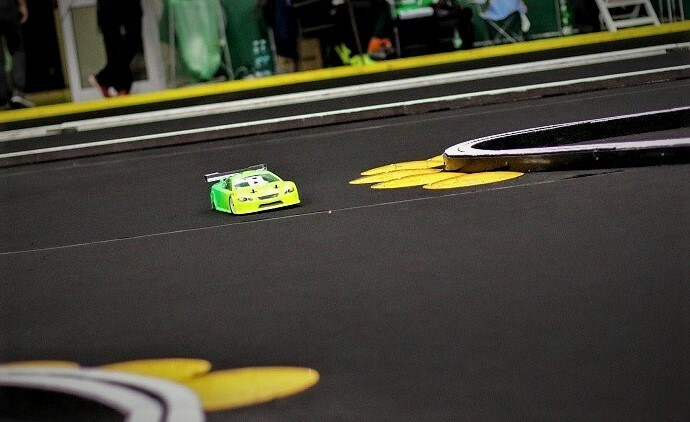 Unfortunately Tamiya cup was not that impressive anymore neither TRF was not that successful. 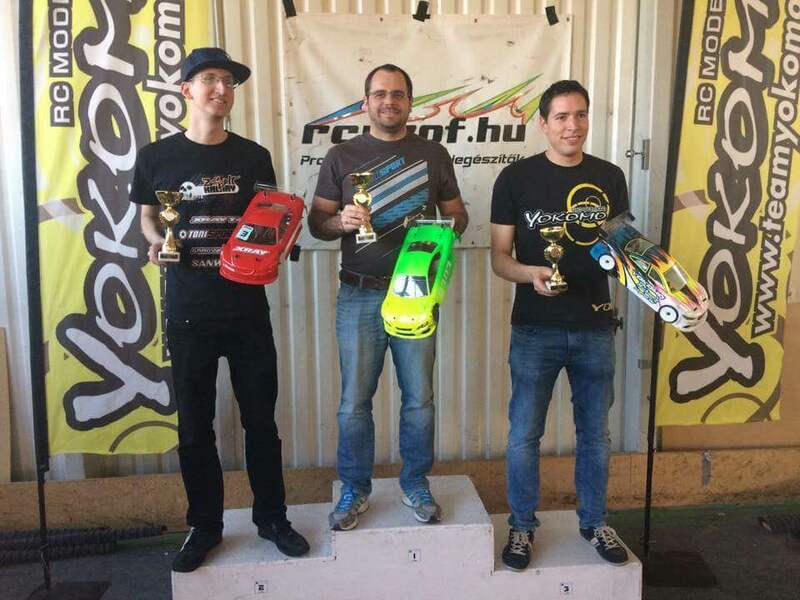 Finally I become the „only” racer running Tamiya carbon car in stock category in Hungary who still believed magic will come J. My best result was A3 once in last seasons till 2016, mainly ended on A8-A10 out of ~20 entries in stock category. 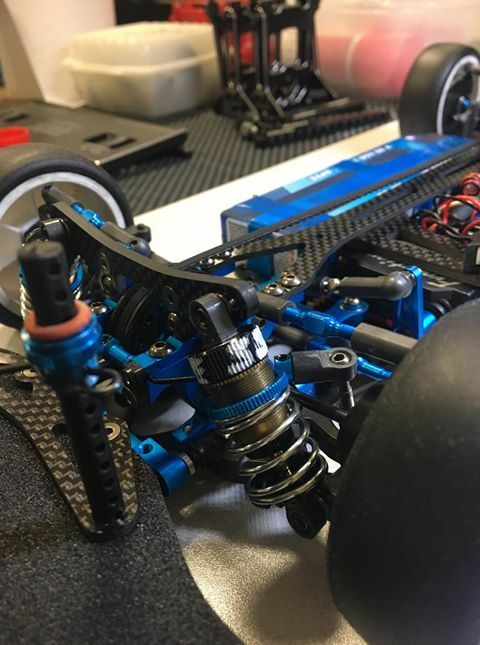 Last year (2016/2017 season) I almost switched brands to see whether I had was running at my peak or if a different car could still improve my driving skills... finally magic arrived when I purchased the Tamiya TRF419X. For the low-med grip conditions that we have in Budapest it was was perfect, allowing me to dominate the entire season. 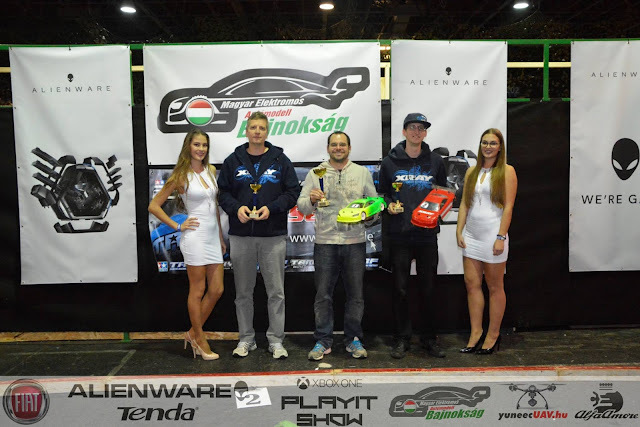 However I had never raced on ETS carpet (black) until the beginning of 2017 when I raced first time in Hrotovice with 419x in Mibo cup. I hadn't had much international experience until that point. So this season I have decided to run more international races (Mibo, CZ and XRS, SVK – Hudy) to learn how black carpet works with onroad cars (Normally I run on on grey carpet onroad/offroad on the same layout). I am not planning on doing the ETS since as I have two lovely kids to I do not have that much free time, and I wanted to have a full practice day + race. ETS is great event, but for me it is too long waiting around for hours. 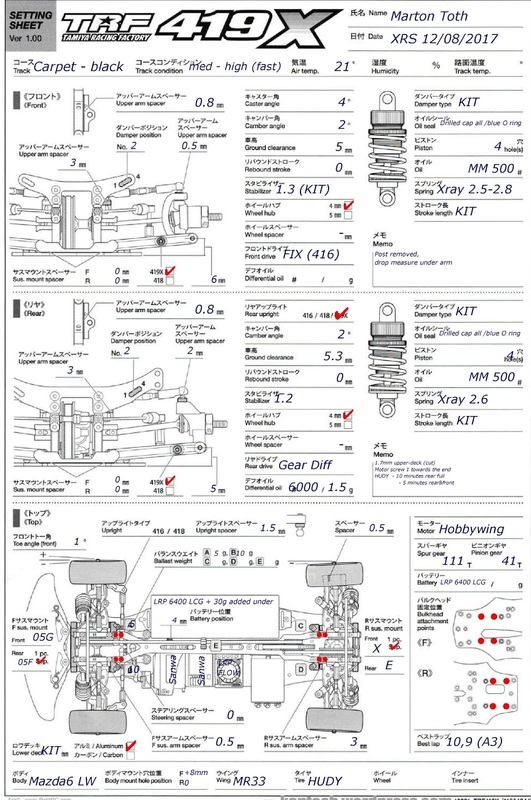 Maybe a later stage of my life (either when I do not need a lot of practice to setup the car or my kids are older). 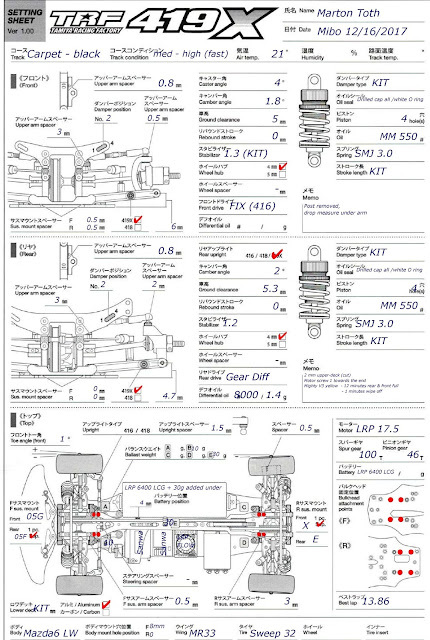 Rd1 and Rd2 gave me a lot of experience with the TRF419X WS. This was my first time running alloy chassis ever, so learning curve was still improving. In both cases Friday was very successful when the track was more low grip to medium. However Saturday was a bit more of a struggle whilst other competitors got much quicker. My expectation was to be get into the B group or with some luck be in A. With over 35 very competitive racers entering the stock categor, I didn't expect to get anywhere near a podium result since the top guys (Oliver, Tom, Kunak) were super fast... like 0.3sec/lap on Saturday and they just got quicker. Before this weekend race I had 2 Mibo and 1 XRS events under my belt (3 days of free practice, 3 days of racing on black carpet). With this experience I started to have an idea of what settings I should use and which ones I shouldn't. 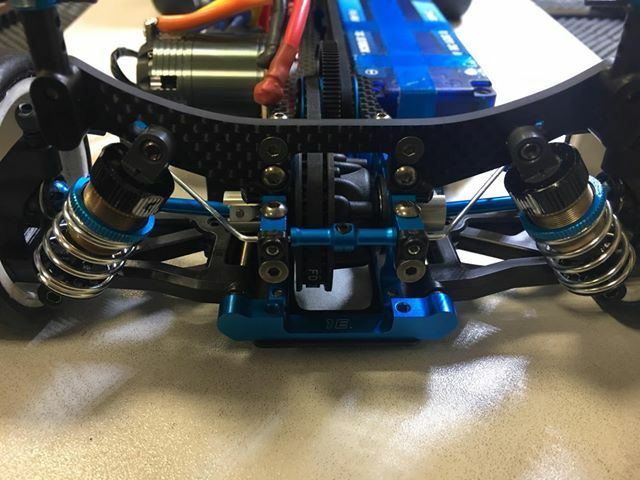 Last weekend for the XRS I also started to apply changes to my base setup and ended up A3. There was still a gap from the leading 2 guys, but I improved a bit and discovered a few more settings which dont really work. 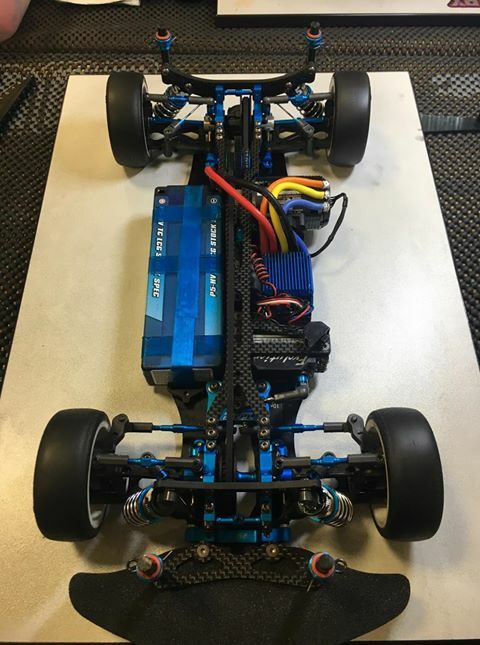 For this weekend (Mibo race, Rd3) on Friday (free practice day) I started with my base XRS setup see below, except rear diff with 5k oil. 1-2 free practice went ok with base setup, I was learning the layout and the track timing suggested there is a chance \i could make it into the top 10 out of 42 drivers. However I knew I need to change and my car settings as the grip will come up very soon. When the track became more sticky I changed springs to 3.0 which worked well :). 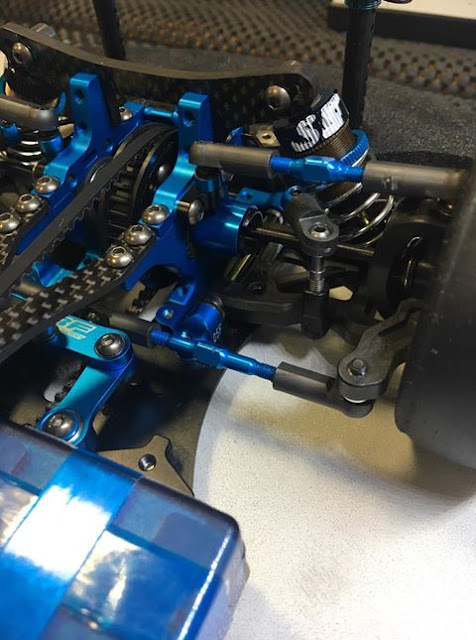 Next round I added 0.5mm spacer under front suspension mounts, this made an even bigger impact :). The TRF felt amazing and it looked like I had found what I was missing. I played a bit with ackermann by adding 0.5 shims (didn't work) tested 6k oil on Friday but that didn't work (it didn't work since 6k diff was softer for some reason than 5k oil J - realised just later.) Finally I did run a 4 minute on the planned set of (used) racing tires not to have a surprise on Saturday. The car was ok.
Saturday morning I decided to prepare a set of dampers with 550 oil and 8k diff oil but using 1.4g oil instead of 1.5g. Q1 went well, and the car was easy to drive, quite a bit of gap from top guys, but it was the best setup so far. I got hit on my back and rolled in first lap which cost me a lot of time and I essentially started the race from P10....I did push hard, and the car was amazing! 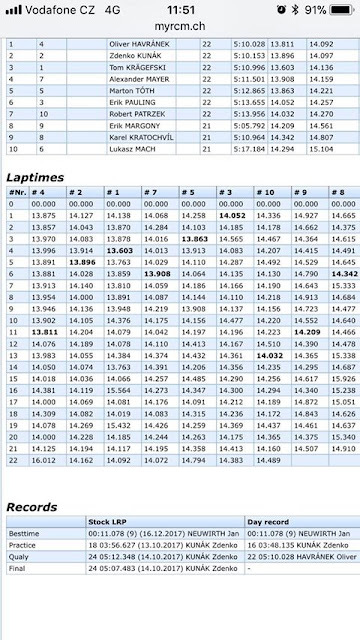 Finally In last lap I performed 2 passes and finally ended in P6. I had mixed feelings as the car was excellent, but it was a great recovery drive. Since the grip was really high, I decided to add all the screws under the bulkheads (no other change). I am very happy with the car but a bit disappointed since my final standings could have been better. I also have in my mind what else I will test in first race of 2018 to attack for the podium (Xrays and Awesomatix are dominating at the moment). Would be good to see a bit more flex alloy chassis similar what orange guys using. 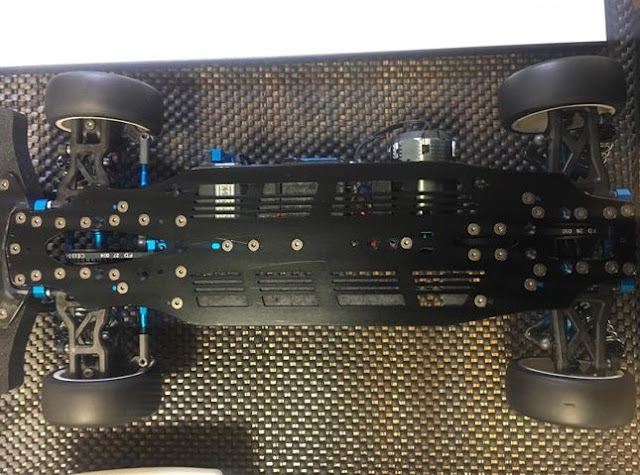 Hopefully XR version will soon get a revised alloy chassis to try, although I think there is even more speed to tap from the current chassis. Whether it is the best setup? Hopefully not and I will find again a „best setup” for black carpet with high grip. Definitely a huge step improvement for me.